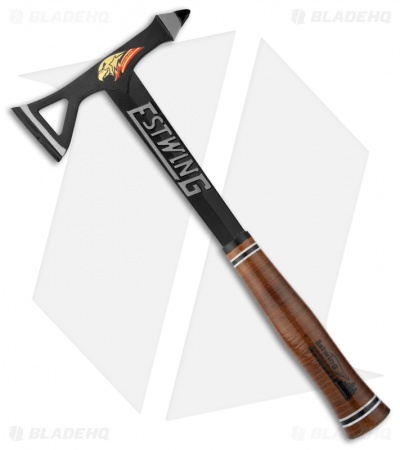 This Tomahawk Black Eagle from Estwing is designed especially for outdoors enthusiasts and military professionals. The Black Eagle features one piece of American-forged American-made steel, a lightweight design that makes it easy to carry, and a polished genuine leather handle. The tomahawk is perfectly balanced and weighted. 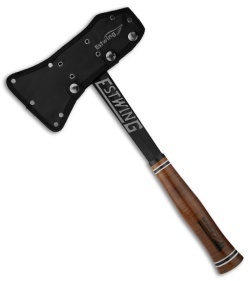 Comes with sheath.